SYNOPSIS: When it comes to relationships, Colin Singleton's type happens to be girls named Katherine. And when it comes to girls named Katherine, Colin is always getting dumped. Nineteen times, to be exact. He's also a washed-up child prodigy with ten thousand dollars in his pocket, a passion for anagrams, and an overweight, Judge Judy-obsessed best friend. Colin's on a mission to prove The Theorem of Underlying Katherine Predictability, which will predict the future of all relationships, transform him from a fading prodigy into a true genius, and finally win him the girl. Letting expectations go and allowing love in are at the heart of Colin's hilarious quest to find his missing piece and avenge dumpees everywhere. 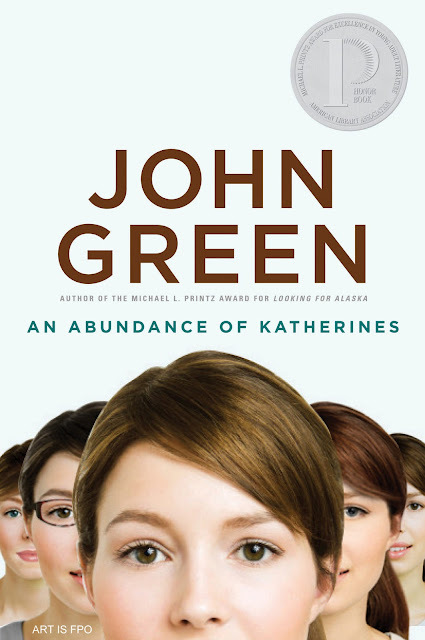 REVIEW: The first John Green book I read was The Fault in Our Stars, and I loved it. You can see now that I had high hopes for Katherines. Sadly, my expectations were not met. I think part of the problem is my lack of knowledge when it comes to John Green books. I never thought to do a bit of research on Goodreads first before deciding to try this one out. I just found the plot interesting so I went for it. I never figured that John Green had a knack for writing about quirky male leads who, to some extent, can actually be adorable. I didn't know what to expect. I only found out till later when I felt really frustrated about how disengaging Katherines is. I felt that on some level, even if quirky male leads is John Green's thing, I should've felt as hooked to the characters in this book like I was in TFiOS. Sadly, I wasn't. Maybe it just felt like the quirkiness of the whole book got too quirky. Let's talk about the characters first, since that's the biggest reason why I didn't like this book as much as I wanted/expected to. 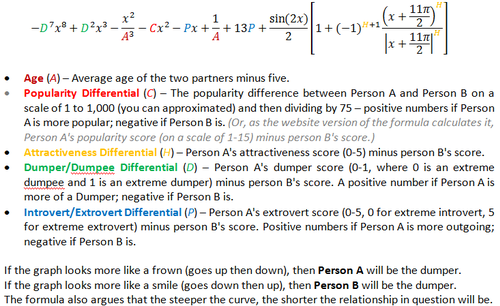 Colin could have been interesting, if he wasn't so bent on trying to perfect his theorem. He had so much potential to be this impossibly smart kid who's adorable that way but it didn't really manifest in the book. For me at least. Even when he was getting closer to Lindsey it didn't feel natural. It was sort of robotic. He may have been making progress with Lindsey, but inside he's still this quirky Colin who loves anagrams and is obsessed with being somebody. There was a major lack of character development. I just couldn't see what all those Katherines (and Lindsey) liked about him. Except for the flashback where Colin first kissed Katherine, when he said, "I'm a fairly good kisser." That was the only time he seemed like a normal, likable human being. It's not so much as I dislike Colin, I just didn't feel any sort of connection with his character. And I always want to feel connected to the protagonist somehow. Then we have Lindsey who, right off the bat you'd know, is Colin's love interest. As far as love interests go, she also felt bland to me. You'd expect her to be this unbelievably lovable person but she truly wasn't. She's pleasant, but she's not extraordinary. In fact, K-19 (19th Katherine) felt more lovable to me. Along the way I sort of wished she'd call Colin and take him back but of course, she didn't (ohhh spoiler alert. *rolls eyes*). Lastly we have Hassan - your typical sidekick. Fat, awkward, and a minority. Don't get me wrong, most of the funny lines came from him (in my opinion, at least) but overall he didn't contribute much to the story except to elevate my annoyance at Colin. It's as if they're equally... unreal. I don't really know how else to describe them. All I know is I didn't feel connected to any of the characters. Don't even get me started on all the whining. You've been dumped by way too many Katherines. I get it! I was expecting some sort of glorious moment wherein he'd work his issues out but no, all I got was some mathematical equation (which works by the way - but I'll get to that) to explain his odd predicament with Katherines. I didn't even get a clear idea of why he was so addicted to the name Katherine. I didn't feel like the story had a climax. It was just one straight line with a few bumps along the way. But overall? It was like the story didn't take off. At one point I almost gave up but I just had to know how he'll come around and quit whining and how he'll end up with Lindsey. I didn't get much though. No spark, no this is it! moment, none. The occasional comedy, albeit a bit forced. I've learned from TFiOS that John Green has a way with (big) words so I wasn't surprised when I read a lot of those in this book. I have a thing for lines funny/witty lines phrased so differently. The original idea. I got so excited about reading this book because the idea's different and out there. I didn't really fulfill my expectations, but hey, I have to give him props for coming up with something so different than most YA contemporary books. I read and fell in love with TFiOS, but I still haven't read An Abundance of Katherines. I'm not sure whether to read it or not, now that I have read your review to be honest. Aww man. I'm sorry. But yeah, a lot of people on GR love Looking for Alaska and Paper Towns more. I hope you get to read them! I read AAoK based on the suggestion of a friend, the very same friend who suggested TFiOS to me. As you know, I more than love TFiOS so I trusted the guy and picked up a copy of AAoK. Sadly, you and I have the same sentiments towards it. I'm thinking, since it's an earlier book, maybe John Green hadn't mastered his craft when he wrote it but to believe that would be to discount Looking for Alaska. 3) An Abundance of Katherines a sad third since I haven't read any of his other books yet. I heard Looking for Alaska is great! I'm planning to read that after I finish all the requests. And I think you're right, that maybe John Green hasn't quite mastered his craft yet at the time he wrote Katherines.